There are moments with my children when I completely stop! I stop thinking of the things I need to get done on my to-do lists, I stop thinking what we are having for dinner, I stop and I take in that moment as best I can. Those moments that make a bad day go away and melt your heart, grateful to have my two beautiful babies in my life. Not that I am not grateful everyday for the little rascals but in moments with my children where they take my breathe away with their love, their innocence and their beautiful smiles, I am even moreso. At the rate that kids grow up and how busy life seems to be getting these days with music classes, swimming, soccer and family days out it’s hard to really stop and cherish every little thing about your children. Yes, I am being very sentimental here but it’s hit me a lot more lately than it has in a long time and I think I had forgotten in our crazy routine of life to stop! My toddlers seem to be changing daily both individually and together and I don’t want to miss it because it won’t be long before they both are in school and I will be grieving for them to come pour powdered sugar on my kitchen floor and be naughty just to have more moments with them both. My children have surprised me how much they get along and love on each other. I never expected that when I had two but the love that they show both Mr P and I is so powerful I can’t imagine life without it now. One such moment where Buba climbed up in my lap and wrapped his arms around me saying, “let’s just cuddle Mommy” melted me. I stopped what I was doing, I wrapped my arms back around him too, and I inhaled the sweet smell of his toddler shampoo, I took in the shape of his face, and how he curled right into me with all his love and trust. Those are the moments to write down and remember. Those are the ones I never want to forget in my crazy baby brain head. He twirled my hair around his little fingers ever so gently something he has done since he was a baby. It’s his way of showing affection, his more gentle side to his normal hyper crazed toddler self. My chest was aching with love. When we stop and take the world around us in or even a little ordinary moment, it makes our brain highlight it rather than enjoy it and move on. I can now close my eyes and see what he was wearing, hear his sweet little voice, and feel him cuddling me because I stopped my brain from thinking about anything else but that moment. As I have said it seems these moments for me to stop are happening more recently or maybe I am more aware that they seem to be growing up faster than I expected. Either way, I determined to capture as many of these ordinary moments with my children, the heart warming ones, in my brain as well as here on my blog so that I never forget them. So when they are grown I can read back or close my eyes and relive them again and again. Missy Moo at only 17 months old, sat at the table while her brother was at nursery eating lunch. Now this happens every week on Thursday where we have our girl time together. I had just served her, her plate, and went back for a drink for myself and I hear the sweetest sound from her singing Frozen. I kid you not, my little one year old can sing “Let it go” but can’t say more than a handful of words yet. It wasn’t just the cuteness with how she sang it or even being impressed she knew the words that made me stop, it was her hand gestures along with her song like she was organizing an orchestra all on her own. She was flailing them right to left, up and down as she sang her little song. It also was the way it echoed the empty room around her and as I walked back in how big she seems sat at the table by herself. Didn’t I just give birth to her? How is she now sitting at the table, solo, belting out Frozen? Have I missed the baby months? It made a little pain in my gut that those days are long gone and my children are growing up at a speed I can’t keep up with. Is this how it is for everyone? Do all parents feel like they have missed it all? Do all parents think where has the time gone? I know it’s early for new year’s resolutions but one of the things I want to focus on in 2015 as it’s our last year of having both at home before Buba starts school is to stop more, take in more moments together, and maybe cut out a few activities to learn to enjoy just being together as a family at home and not so much on the go. It’s the little moments that pass us by, that make us feel like we missed it, so stop and remember them as best you can. Thank you Laura for popping by and your lovely comment. Couldn’t agree more and life is too short not to share them all with you too! Oh thank you Donna you are too sweet. Yes so true. Exactly. I really am going to make next year the best year of the little moments. 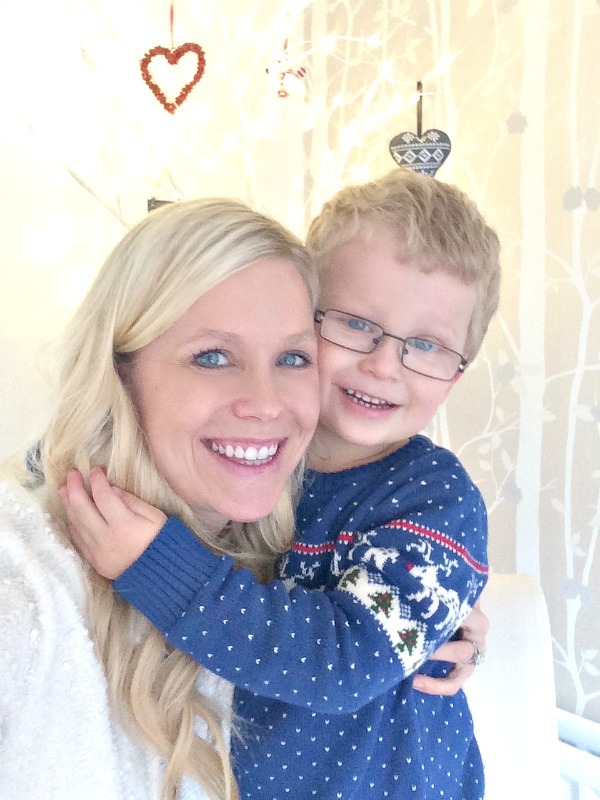 Oh Jenny this is just lovely – I think you’ve pretty much captured the reason why I blog! And I love the photo of you and Buba; it’s so true all our babies are growing up before our very eyes – Kitty had her last nursery Christmas party this week and I felt a little bit emotional approaching the first of the lasts, rather than a continue string of firsts! I know its hard letting go of the baby stages and tge early years i know there are many new firsts to come. Thanks Carie. Thanks Clare. I know life just seems to be getting busier and busier and I need it to slow down just a little bit for a little while. I love this post, and relate 100%. When you stop and realise, really realise whats going on in that moment. and especially when you notice changes you didnt really ‘see’ in the everyday. like the frozen for example. (my girls love singing it too!) Like my little Yve’s sang the whole alphabet the other say and counted to 20 – she’s four but hearing her do it just in her own little world was priceless, and Halle joined in too, and I didn’t realise she could count to 15 -she’s only 2.5! Thank you Natalie for your lovely comment. Glad you can relate. It’s those precious moments that makes having kids so absolutely amazing and wonderful. I have to say happiness is everywhere. I also love staying with my kids and I feel so happy. Haha we are very into our holiday sweaters. Its so lovely to relax with them. Glad you are getting lots of cuddles too. I definitely feel like I can’t keep up with my son. Every single weekend my husband and I say “goodness he’s changed”. Every weekend! The fact he’s nearly two just astonishes me. I’m all for stopping more in 2015 – just have to learn to do it now, haha! Yes less in the new year I think will turn out to be more in terms of quality time spent together. Ahhh Katie glad I am not the only one. I cried writing it. I have been feeling so emotional about them lately because they just aren’t babies anymore. I don’t want to miss it and I haven’t but feel like I have because it’s gone so quick. If that even makes sense. Glad you do the ordinary moments linky I think it helps us stop and think even more about them.